I work on SAPUI5 and smart templates as a Developer in SAP Labs, I found some interesting details on breakouts in Smart templates and hence I wanted to go for a blog on this topic. As everyone would be aware of extending a smart template fiori app using breakouts, in this blog I will be explaining how to use the ReplaceFacet to add extension point on an existing section. BeforeFacet: The extension will be inserted before a given section. ReplaceFacet: The extension will be rendered instead of an existing section. AfterFacet: The extension will be inserted after a given section. So now we with the help of ReplaceFacet we can make the List to render on a particular Facet of the Object page. Basic UI5 knowledge on XML fragments, JS Views . Now I have a smart template application created in https://code-fiori.dispatcher.cert.hana.ondemand.com/ with an Odata service, also it has a list view and an object page. In my the Odata that I have used entity type is FirstEntity and EntitySet is FirstEntitySet. I would like to insert the Bar Chart (sap.suite.ui.microchart.InteractiveBarChartBar) in the SecondFacet. The most important step is to first set an ID to the facet where you would like to render the control. In my code snippet I have set the property value ID as “SecondFacet” under the UI.ReferenceFacet . The next step is create the fragment for under which we should have the code for InteractiveBarChart. Next step is to tweak a little bit in the manifest.json file, navigate to the “extends” property and add the following extension definition. Since the extension is done for a view under an ObjectPage, we put the fragment name inside the viewExtensions attribute and under the template “sap.suite.ui.generic.template.ObjectPage.view.Details”. Since we are replacing the Reference Facet of the “FirstEntity”( i.e “Second facet”), by the Bar Chart control we keep this as “ReplaceFacet|FirstEntitySet|SecondFacet”. Note : Format for the ReplaceFacet will be “ReplaceFacet|<<EntitySet>>|<<ID of the Facet to be used>>” Also, this is the most important step and make sure the IDs are kept unique for the facets defined. Now save the files and once the application is executed navigate from the list View to the object page, you will find the Interactive Bar Chart rendered as shown below. 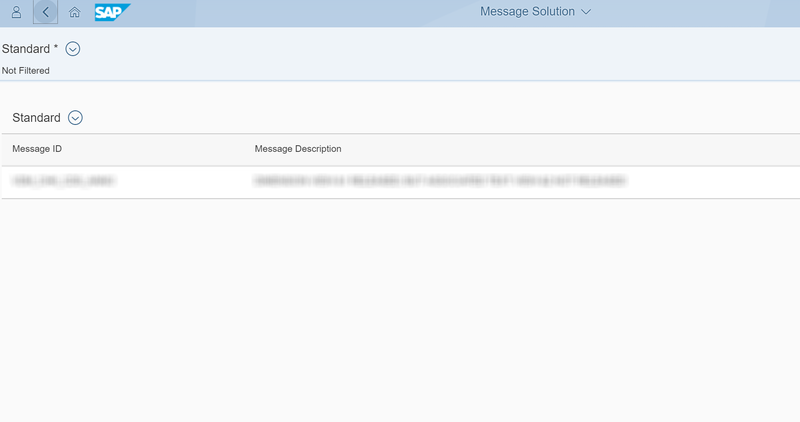 By this way, developers can easily write breakouts by including the desired controls or even custom controls in a smart template fiori app. Hope you find this blog helpful 🙂. With this you can understand the concept of replacing a facet with any control via breakouts. Also in my further blogs I will be explaining few more topics related to breakouts in SmartTemplates and more on SAPUI5 and Fiori.